This iPhone, iPod touch, or iPad compatible app is the quick and easy way for you to manage practice and game situations with video clips, animations, and descriptions of over 60 skills and drills. 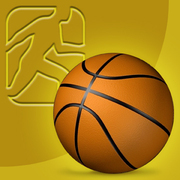 Turn chaotic practices into organized fun when you purchase Go Coach Basketball from Apple’s App Store by clicking on the icon to the right. Youth basketball coaches seeking ideas for drills as well as advice on teaching key basketball skills and organizing practices. Parents of players wanting to assist their kids in practicing and developing skills. Based in Champaign, Illinois, Human Kinetics strives to help people worldwide lead healthier, more satisfying lives by delivering the best information available on the broadest possible range of sports and fitness activities. Human Kinetics customers run the gamut of sport and fitness, including new and experienced coaches, sport participants, fitness instructors, researchers, and enthusiasts. The company is committed to providing accurate information and education packaged and delivered at affordable prices, and it recognizes that technology is a driving force in improving the usability and accessibility of its resources. An education program offered through Human Kinetics, the American Sport Education Program (ASEP) is the leading provider of youth, high school, and elite-level sport education programs in the United States. Rooted in the philosophy of “Athletes first, winning second,” ASEP has educated more than 1.5 million coaches, officials, sport administrators, parents, and athletes. For 30 years, local, state, and national sport organizations have partnered with ASEP to lead the way in making sport a safe, successful, and enjoyable experience for all involved. For more information on ASEP sport education courses and resources call 800-747-5698.